Grade: C6	Fine. Folded, single-sided. 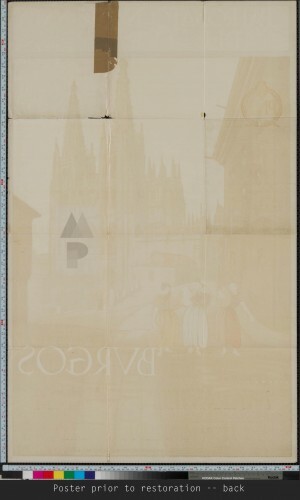 Prior to linen backing the poster had minor handling/edge wear, packing tape on verso, and slight paper loss at upper cross folds and through the "C" in "Nacional" and "S" in "Tvrismo". 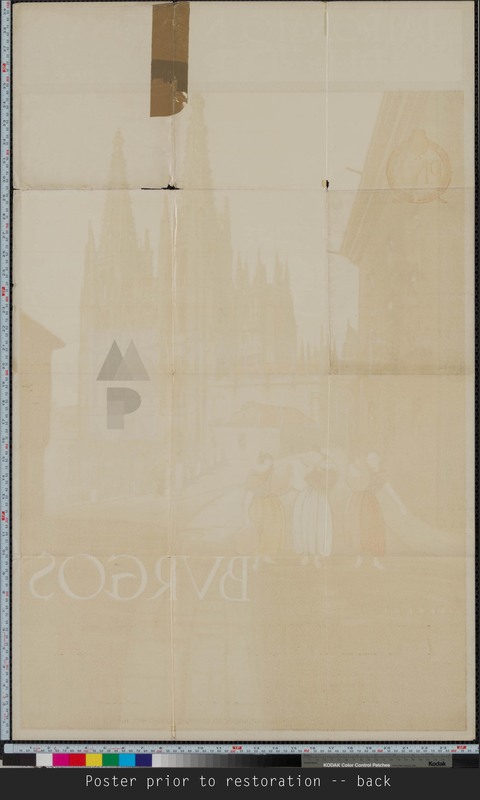 Expert restoration has addressed these flaws and the poster now appears very fine to near mint. 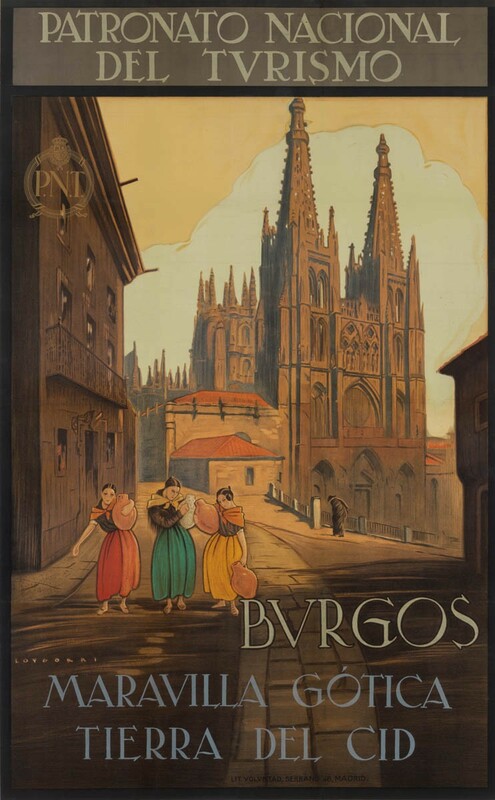 Burgos is the historic capital of Castile, a semi-autonomous region in northern Spain and most well known for its stunning gothic architecture — the highlight of which is the Burgos Cathedral. 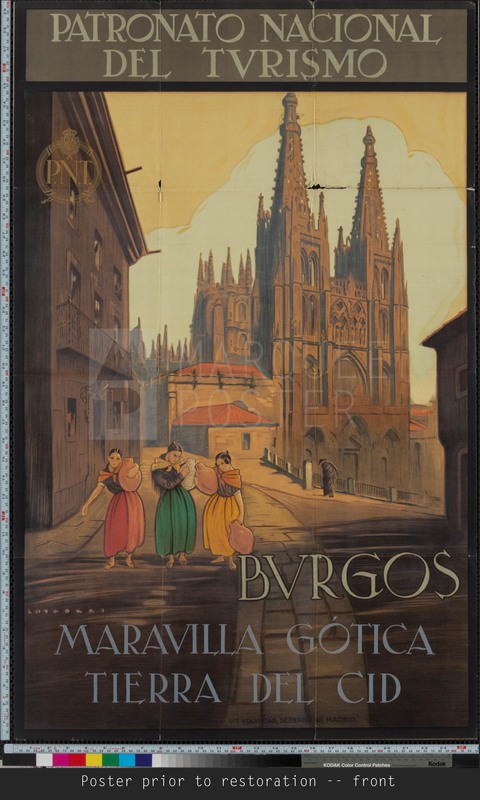 Construction on the church began in 1221 and took over 300 years to complete with the final touches added in 1567! It was done primarily in French Gothic style, although Renaissance style works were added in the 15th and 16th centuries. 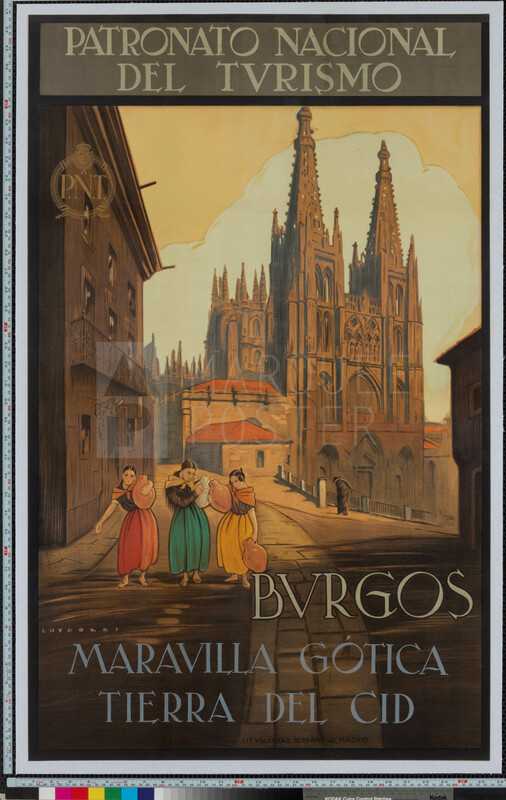 This gorgeous poster dates from just a few years before the Spanish Civil War and highlights this architectural wonder of Burgos.